As the year rounds to a close, I wanted to take a few moments to educate everyone on what needs to happen this summer to prepare all scholar Chromebooks for the fall, and provide the latest technology news to help you make an informed purchase decision for next school year. It has been a great year, and I wish all families a wonderful, restful and exciting summer break! On May 19th, Google announced at their annual developer's conference that the full suite of Android mobile apps will be available on Chromebooks through Google Play, which we will have the ability to control through our domain. Last fiscal quarter, for the first time ever, computer companies shipped more Google Chromebooks than any Apple desktop or laptop combined. Schools and families around the globe are enjoying the user-friendly, affordable, and reliable computers. 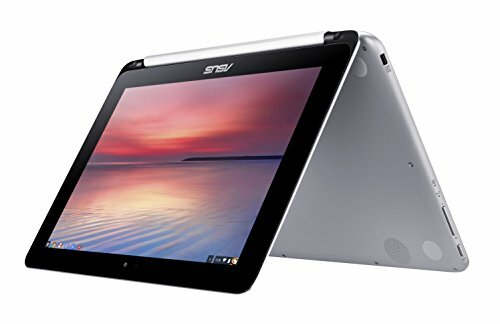 If your family is looking to purchase a new Chromebook for the fall, I recommend the ASUS Chromebook Flip. This hybrid laptop/tablet will provide the most versatile experience given Google’s new changes. Having the flexibility to flip into tablet mode will afford our scholars a better reading and annotating experience of their eTextbooks and other documents, more access to creativity tools to demonstrate their understanding in unique ways, and still have all of the comfort and word processing experience of a traditional Chromebook. Obviously, springing for a slightly more expensive Chromebook is not a requirement, as class expectations can still be met with standard models. However, the future of operating systems for laptops seem to be pointing at a blending of the mobile tablet experience and traditional laptop interface. Over the past year, Google has made some updates to their device management and app stores to help us provide a richer educational experience and a stronger capacity to lock device filter settings and control users in our domain. This summer, we need all families to drop off their computer for service at the school between June 9th and July 1st. Please tape your scholar's first and last name to the device as well as your scholar's upcoming grade year. Please KEEP all chargers at home. This will give our technology department enough time clean up the devices, label them, and set them up with our improved security settings. Our new measures will better ensure that all scholar Chromebooks remain on our filtered internet. When scholars return back to school, they will move through a series of lessons in the first week that will help them develop organization, time management, and other necessary skills to start the year off right. Additionally, they will become acclimated with our learning management system Schoology and learn some strategies to manage technology use in a healthy way. We are in the process of developing these activities, so if you have any feedback on these concepts from a parent perspective, please send them along to Mr. Seidel at wseidel@oneschool.net.